When I first read about Tuckman’s stages of group development at SIT, there was a lot of nodding going on in my dorm room. I recalled when I first met people who would inevitably play an important role in my life (clubs, teams, classes…). Images of those awkward moments all came back to me: trying to make sense of our roles; fighting for our ideas; comparing our strengths and weaknesses. A real ego showdown. Then, how at some point, we all managed to make it work to the point where we dreaded the day we would part. Learning about this group psychology made it easier for me to be a part of future groups. As if those definitions made everything okay, or at least, much less unnerving. I wanted our course participants to read about these stages for the same reason. I wanted them to understand that all those difficult moments they were going to face in their six months together were just signs they were growing together, and that if they noticed they were growing apart, they had the power to take some control over it. Over the years, I tried different ways of introducing the reading to them, but each time this dialogue fell short. Part of the problem was I didn’t help them break down the text into digestible chunks. Well this year, I think I found the right recipe. I separated the participants into four groups and assigned each group to read a description of one of the stages, 1. Forming 2. Storming 3. Norming 4. Performing, from the linked website. I chose this reading because I thought they would be able to focus on the meaning and not get bogged down in the language. 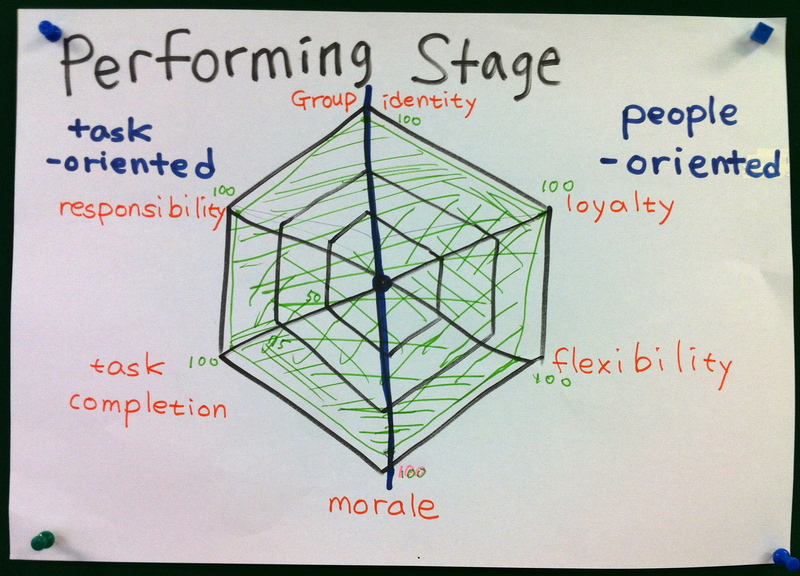 Note: I won’t go into the details of each stage since you can find a wonderful explanation at Adam Simpson’s blog, Teach them English at his post Have you ever wondered why your group activities fail to inspire students?. Just scroll down a bit to find his descriptions of each stage. He also describes the fifth stage Tuckman added to the model ten years later. I didn’t ask the participants to read this stage, but will definitely consider adding it in the future. I think there is great value in thinking about how a group comes to terms with its end. Then I suggested they read their assigned stage individually and after discuss the meaning as a group. They collaborated to make sense of new expressions and concepts. I only intervened if I noticed they needed support. Once they felt like they grasped the concept, they had to draw a visual representation of the stage. I could already see a little “storming” going on as they decided what to put on their posters. Once the were done, each group was responsible for explaining their stage by using the visual representation they designed. 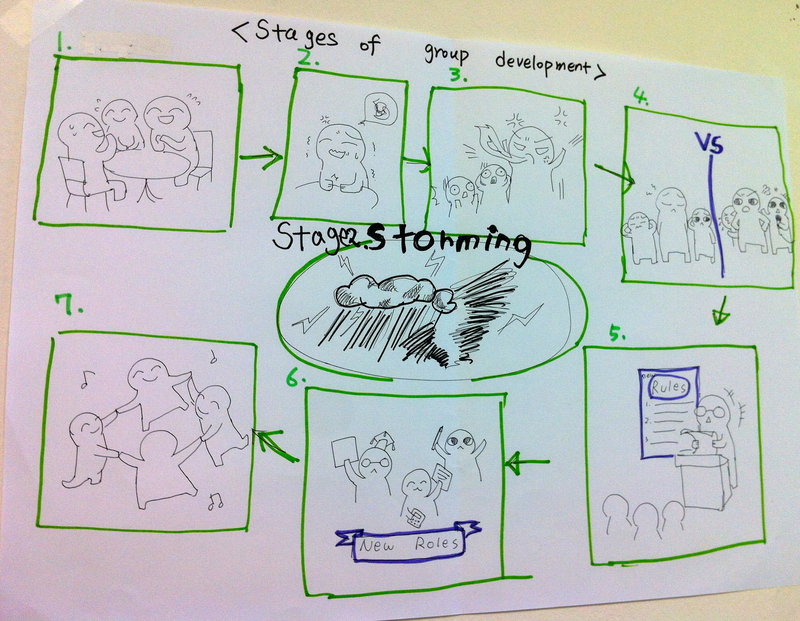 The “forming” poster flowed nicely into the “storming”. I don’t think any explanation is required here. And below we see all the confused emoticons at the bottom of the poster, each with their own colour which describes the “storming”. 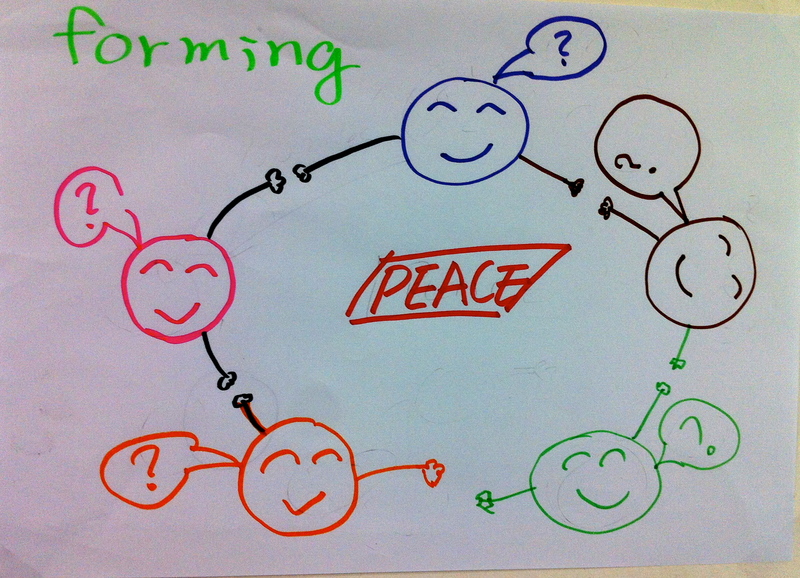 But as the conflicts occur, compromise and understanding also becomes part of the dialogue. This is represented by the multi-colored faces in the middle. 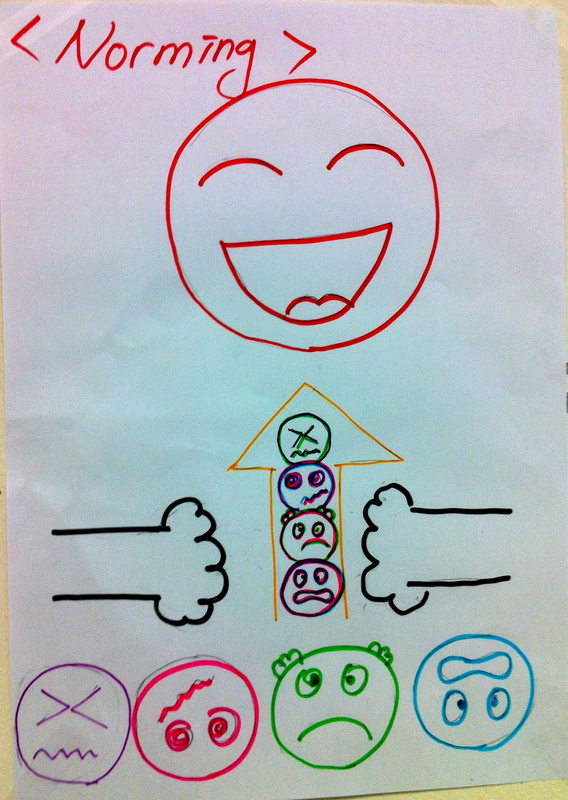 Finally the result is a happy face that encompasses all the colours of the group. With this understanding, the group is able to perform their tasks with joy and efficiency. Just to reiterate, none of the groups were aware of what the other groups were creating. It was wonderful to watch all the pieces come together. As each group explained their posters, they referred to what the previous group spoke about. Once the “performing” group presented their poster, all the puzzle pieces came together. What does all this mean? I hope it means that the teachers (participants) are now aware of the shifts that might happen during their time in the program. I also hope they extend this understanding to their students. Personally, I am very excited to see how this may change the conversation that usually occurs in our program. * I also recommend reading Adam Simpson’s The power of the poster. As you can see from this post. I am also a huge advocate of posters. Posters are a powerful tool. Tana Ebaugh and I met when we both began our journey at The SIT Graduate Institute in 2007. 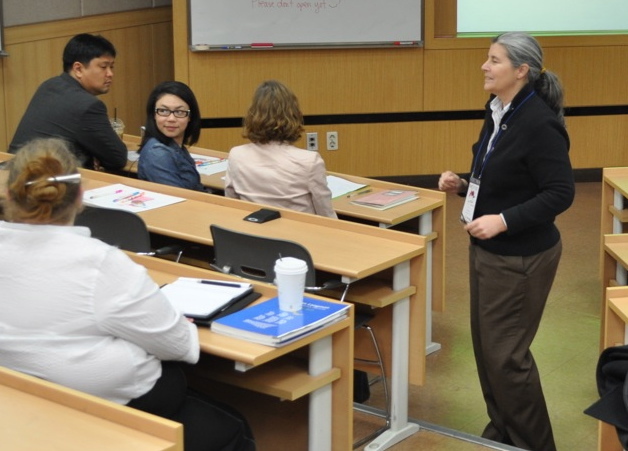 Since then, our lives have had the good fortune of intersecting in terms of ambition and location: teacher education in Daegu, South Korea. Over many coffees, Tana and I would dream of a space where teachers from around the globe could come together to share a common understanding of teaching and learning. Now, Tana, and her colleague Zhenya Polosatova (please see Mike Griffin’s excellent interview with Zhenya on his blog, ELT Rants, Reviews, and Reflections), have created this space in the Pioneer Training and Education Consortium (ptec). And so it is with great honor and joy that I share with you this interview where Tana tells us a bit about herself, gives us a glimpse into ptec, and shares with us her hopes for teacher education. Tana, can you tell us a little about yourself? I came to teacher education via a diverse collection of fields: electronics, microbiology, photography and graphic design. Each of these areas contribute to who I am as a teacher and a teacher educator. I have taught mostly adults in Thailand, the US, and in Korea. I believe that the learner is as important as the learning, and that as an educator in the classroom I need to involve them in the both the content and the process of their learning. Sometimes I am the holder of knowledge, but most often I see myself as a guide, a facilitator of learning. It starts with the professional relationship that I developed with my colleague, Zhenya Polosatova, in the winter of 2011—a meeting of education beliefs, of joy in learning, and in working with others. 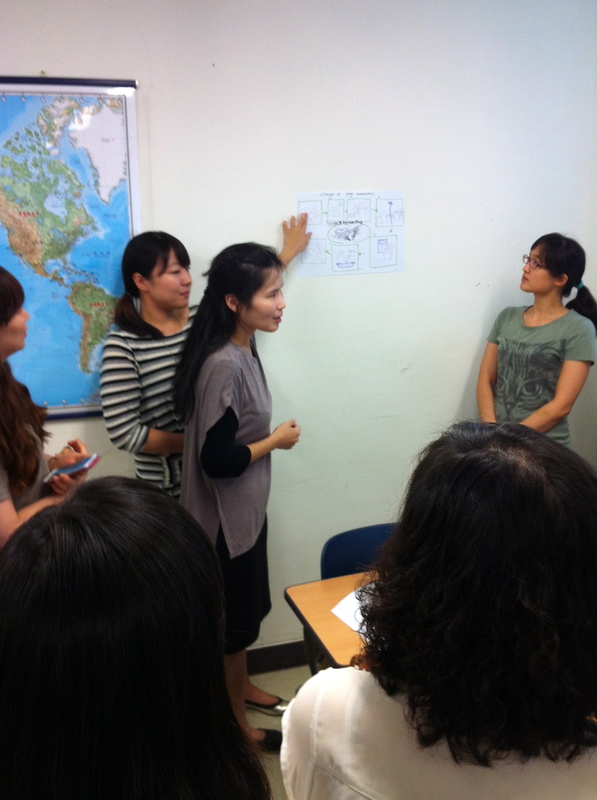 In the summer of 2012 we were contracted to write a TESOL certificate program for UCC Center, a teacher training organization in South Korea. Once our project was complete we realized that we had a valuable training tool that could reach beyond its original mandate. Putting that together with other trainers we know and respect, and developing a network to reach out to teaching organizations/institutions and education ministries seemed a next logical progression. This means that ptec is a space for trainers/educators and organizations/institutions to meet. It is a starting point for delivering and developing learning-centered, contextualized training and education for teachers. If you could choose three words to describe ptec, what would they be and why? Evolving. We are still building the concept, modifying it to more effectively connect trainers/educators with organizations. We are still clarifying what ptec is and what it is not. To borrow from the design field, you could say we are a boutique style consortium. We are a niche of trainers and organizations that cares deeply about learning, that is interested in context sensitive trainings and workshops, that realizes the preeminence of culture in all that we do vs. being a job site with everyone in mind. Consortium. We choose to be a consortium because we want to build community between organizations and trainers and learners, not just be providers. Focus. As with our Consortium at large, our blog is focused on training and education issues vs ESL/EFL teaching per se. We focus on student learning through teacher education and development. One of ptec’s offerings is a TESOL Certificate course. What would you say makes your TESOL curriculum stand out from all the other teacher training programs? 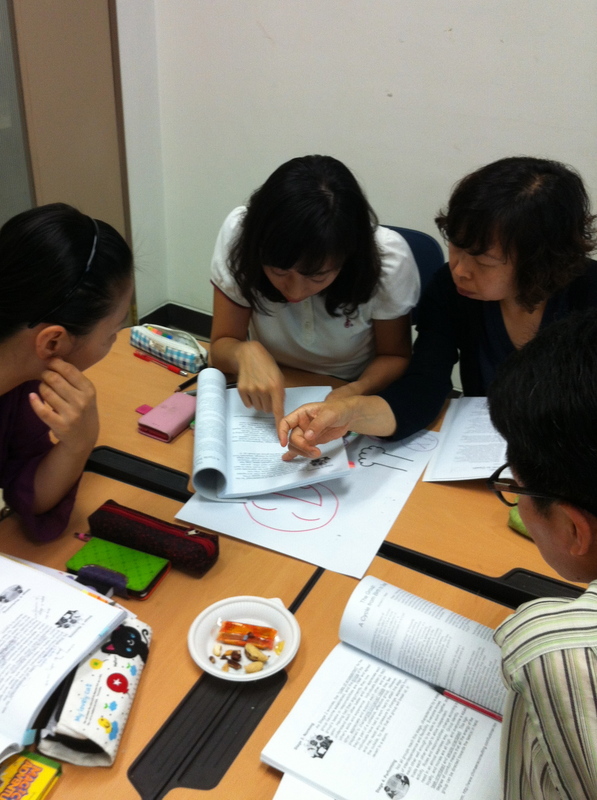 Our TESOL curriculum is based on core principles that are carried through to the level of trainer plans. Our major accomplishments are that the course is competency based and has built-in needs self-assessment sessions so that it can be modified during the training itself to meet each particular group’s needs, e.g. 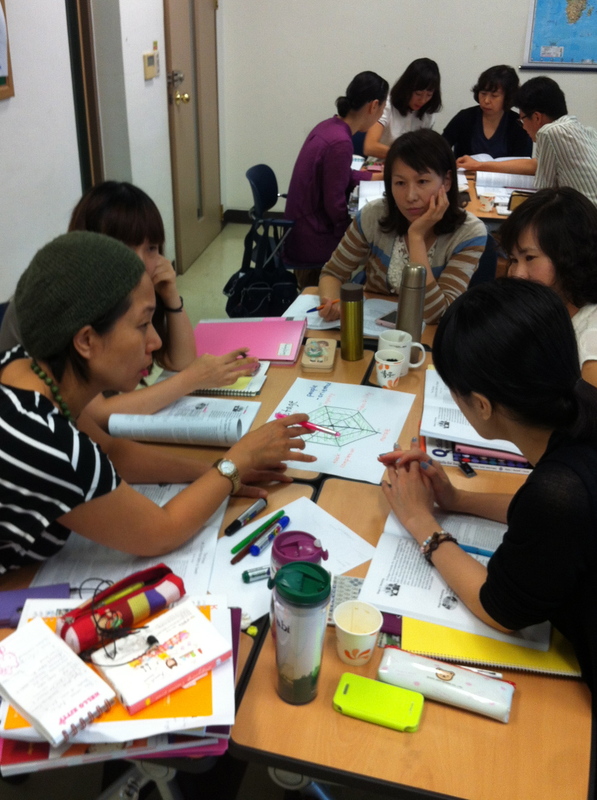 Korean teachers of English, new teachers, administrators. Through the use of these needs assessments and the ongoing use of the learning log (a documentwhich details the competencies that may be covered during the course), the course participants develop an awareness of their knowledge and skills and actively engage in reflective practice. The course is geared for both native and non-native speakers, with materials with which A2 level (*see below for links) language learners can actively engage. If someone is interested in getting involved in ptec, what can they do? What are your hopes and dreams for ptec and teacher education in general? For ptec I wish for Alliances with institutions and organizations that value the learner and the learning process. I wish for members that want to develop in community with other trainers/educators to find a space to meet. I hope that the blog entries to add to the KASA (Knowledge, Attitude, Skills, Awareness) of those involved with learning and teaching through provocative yet sensitive discussion. For teacher education I think two of the most progressive things we can do are: 1) facilitate a personal relationship to reflective practice. A process that cannot be dictated and all must follow and 2) facilitate a teacher’s KASA: Knowledge, of their content areas and of the teaching process; Attitude, honoring themselves, their students, their colleagues, and other stakeholders; Skills, their practice—actions taken, how they deliver their content, how they interact with students, etc. ; and Awareness, of their impact on others, the interconnectedness between teacher-student-content-environment, and their own needs. With such a vision for teacher education, I am very excited to see ptec out there in the world. If you feel the same way, why not let Tana and Zhenya know? Leave a comment below, or on their website. Hello Clarity. I've Met You Before.